Dubai is a sight to behold, with its endless futuristic skyscrapers, glittering coastlines and vast expanse of desert. However, when you can finally avert your eyes from the gloss and sheen around you, you will find Dubai to be one of the most enterprising cities in the world. The city likes to flaunt and how, exuding a suave demeanour with some of the most arresting man-made accomplishments in the world. So here you have the world’s tallest building, the artificially made island of Palm Jumeirah in the Dubai emirates, and the largest shopping mall in the world. Start planning your Dubai tour. 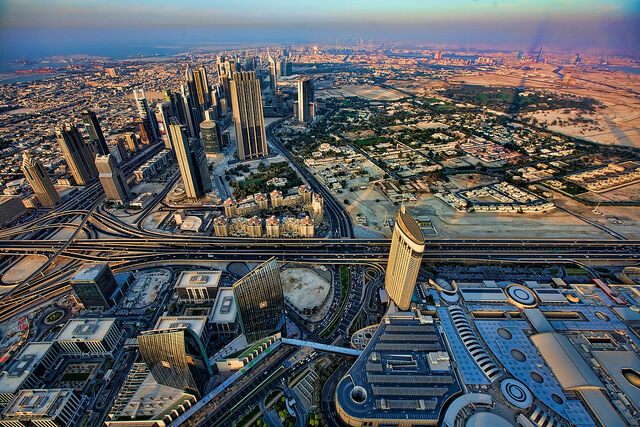 It is easy to get enamoured by the city’s panache and throbbing lifestyle when you travel to Dubai. Dubai tourism’s flamboyance is indeed overwhelming. However, once you start looking beyond its easy on the eye allurement, you will find a city with many prospects to cater to the tourism industry. Time will fly by on a Dubai tour on its own, with so much to do. If you are a beach person, there is ample scope of sun bathing and lying under palm groves in a sun induced coma on any of the numerous beaches across Dubai. 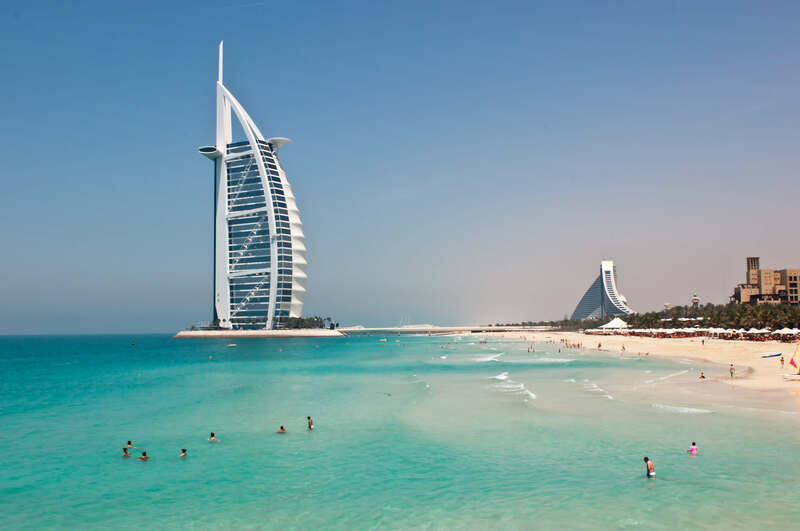 Dubai calls out to good life, therefore, you can expect to bask in the sun on some of the best beaches in the world, which flaunts some of the most exotic and lavish resorts imagination can conjure. 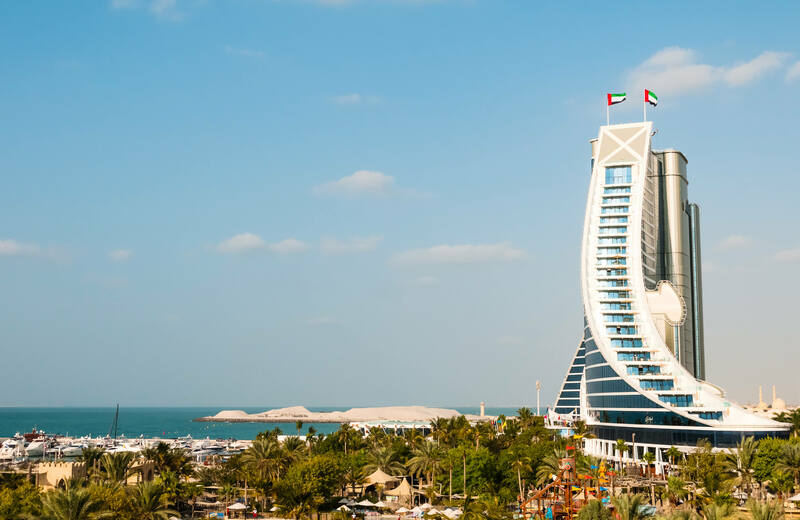 Experience a Magical Dubai by visiting the imposing Burj Al Arab (Tower of the Arabs), which is the only seven star hotel in the world. It is designed to resemble a billowing sail and rises to an imposing height of 321 metres, dominating most part of the Dubai skyline, making it the fourth tallest hotel in the world. When in Dubai, you have to visit the Burj Khalifa, the tallest tower in the world. Other places of interest include the Dubai Fountains, the majestic Atlantis Hotel, the Global Village, the exotic Palm Jumeirah, Dubai Creek, Ski Dubai, Dubai Marina and the Wild Wadi. Dubai tour, for all accounts, is an ideal shopaholic’s paradise. It is one of the most attractive shopping destinations in the world. In fact, when you are in Dubai, it is a sin not to shop. And when you drop, head straight to some of the finest five-star restaurants in the world that spans the city to tantalise your taste buds. Life in Dubai is indeed good. Dubai is a sight to behold, with its endless futuristic skyscrapers, glittering coastlines & vast expanse of desert. Plan Your Dubai Tour Now!